Formal institutionalized schooling plays a decisive role for individual prosperity and dignity. The education system tends to systematically devalue culture, language, and identity (Skutnabb-Kangas, 2009; see Language and Identity), while the inequalities between the have and have-nots are increasing (Tochon, 2003). The focus of educational institutions is often fragmented and directed to instrumental and technical problem-solving rationality. See Literacy and High Stakes Exams, and Inequality to understand the predominant and powerful Education narrative in the 21st century. Tochon's Deep Approach to world languages and cultures derives from the concept of Deep Education. It is project-based and student-led with these goals. Rather than assessment by standardized tests, the students create project portfolios and compare their achievements to their intended goals. The teacher is a guide rather than a knowledge keeper. The students learn and experience a meaningfulness through an alternate worldview that promotes peace and understanding. Tochon, F. V. & Busciglio, D. F. (2017). 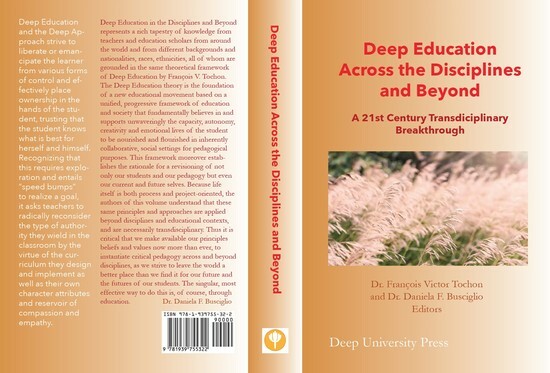 Deep Education Across the Disciplines and Beyond: A 21st Century Transdisciplinary Breakthrough. Blue Mounds, WI: Deep University Press. Tochon, F. V. (2010). Deep Education. Journal for Educators, Teachers and Trainers , 1, 1-12. Tochon, F. V. (2003). The Deep Approach. Madison, WI: Atwood Publishing. Tochon, F. V. (2009). The Key to Global Understanding: World Languages Education Why Schools Need to Adapt. Review of Educational Research , 79 (2), 650-681. Harrison, K. M. (2013). Deep Education. In F. V. Tochon (Ed. 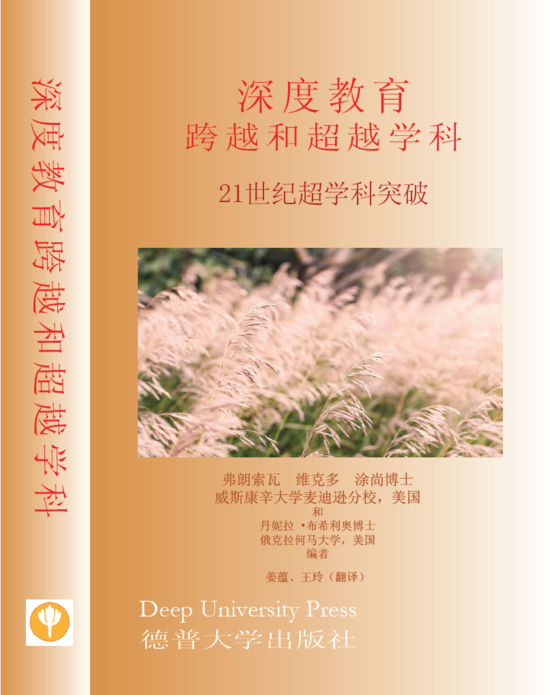 ), Language Education Policy Studies (online). Madison, WI: University of Wisconsin—Madison. Retrieved from: http://www.languageeducationpolicy.org (access date).